In the past several years a number of authors have suggested that science education could benefit from insights gained by research in the social studies of science that documents and theorises science as it is actually done. There currently exist two gaps in the literature. First, most research in science studies are concerned with the practices enacted in male-dominated scientific disciplines including physics and chemistry; there is little research concerning field ecology, where there are many female graduate students. Second, little work has been done in translating findings from science studies to science education. In this paper, we present findings from our own ethnographic work in field ecology. Our research shows that many traditional claims about the nature of scientific research are not consistent with how ecological understandings are actually constructed. These practices are perhaps more accessible to female students because of how the work and community are constructed. Field ecology may be the one science discipline with features that make it particularly attractive for enculturating a diverse student population currently not enrolling in science. If science educators want to teach science that reflects how it is actually practiced, our work has considerable implications for what science teachers have to do in classrooms. 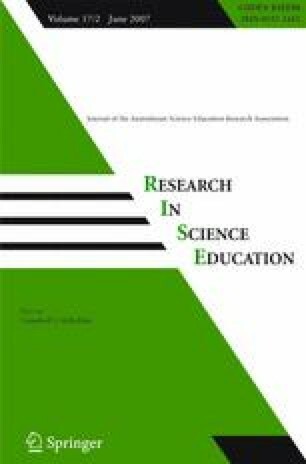 In recent years, a number of science educators have suggested that science education curricula could be enriched by drawing inspiration from studies of scientists and science (e.g., Roth & McGinn, 1998). To provide insights for science education, they focused on aspects of the social studies of science including: methods used to investigate the work of scientists, the practices of the scientists themselves, and the effects on learning when designing learning environments that are based on science studies (e.g., Roth, McGinn, & Bowen, 1996). A better understanding of the characteristics of scientific practice also contributes to a shift in how we view science classrooms and may provide for greater authenticity and inclusiveness in today's science classrooms (Cunningham & Helms, 1998). The purpose of this paper is to provide a description of typical research practices enacted in field ecology. These descriptions provide evidence of authentic research that goes against the traditional image of science. We provide several starting points for discussing the implications to science education from studies such as ours. This work was made possible in part by grant 410-96-0681 (to WMR) from the Social Sciences and Humanities Research Council of Canada. Bowen, G. M., & Roth, W.-M. (2002). The “socialization” and enculturation of ecologists in formal and informal settings. Electronic Journal of Science Education, 6(3), (http://unr.edu/homepage/crowther/ejse/bowenroth.html).